1. To make the tacos, heat the tortillas in a hot pan. 2. 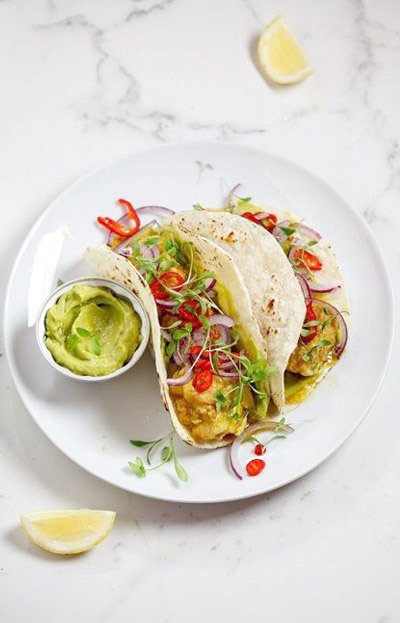 Top each tortilla with a generous dollop of guacamole then add the pickled fish, red onion, red chilli and coriander. 3. Squeeze over a little lemon juice then serve.